See the exact steps we use to sell Bots FAST to local businesses. Learn how to upsell more than one bot to a client... we actually sell up to 5 bots per business. 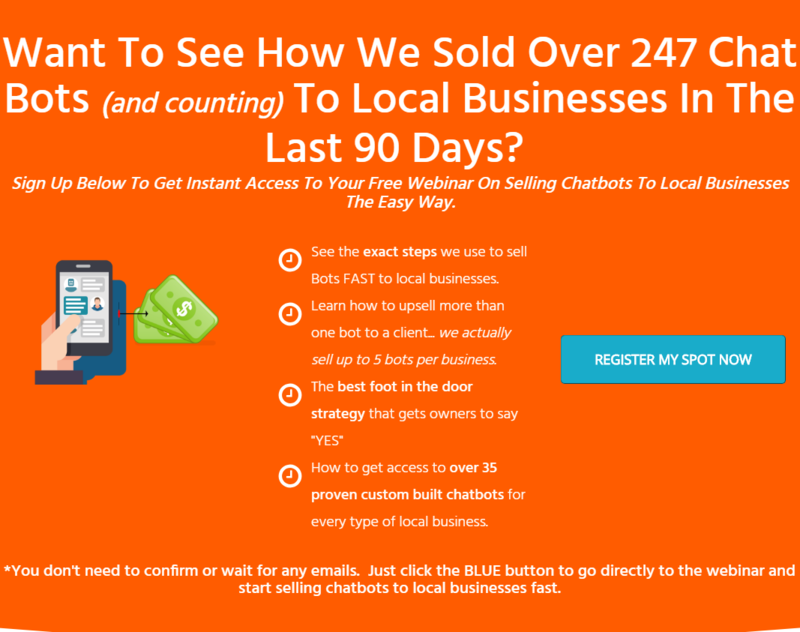 The best foot in the door strategy that gets owners to say "YES"
How to get access to over 35 proven custom built chatbots for every type of local business. Last edited by BlackHatX; 01-10-2019 at 12:14 PM. Just wanted to confirm if it's 25 or 35 DFY templates as the course advertises 35 DFY templates. If 25 templates, could you please provide a list of which ones? Last edited by scorpio; 01-05-2019 at 03:15 PM. send payment link thank you! link and what bots are they? Please send me payment link, does this include all the 35Bots?